MISS NATASHA ENQUIST: ELECTRO-ACCORDION CHANTEUSE: Island Children's Festival! Families and friends, have a look at this upcoming event I will be performing at! 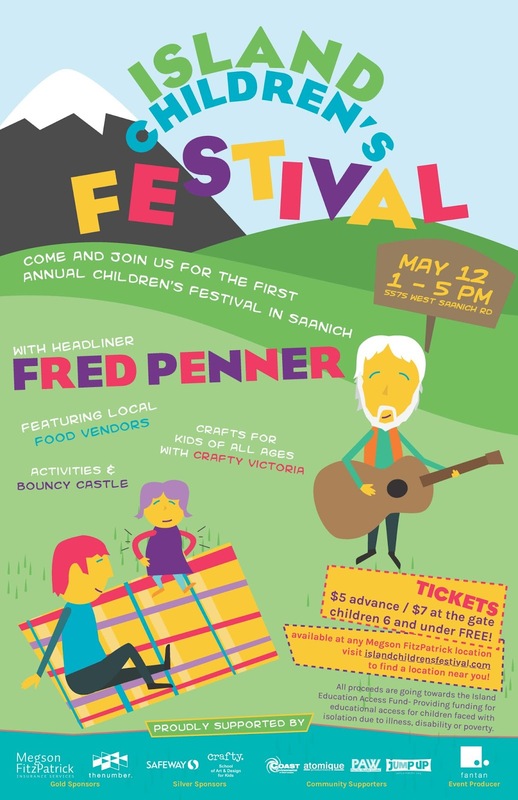 The first annual Island Children's Festival is all happening on Saturday, May 12th 2012 from 1pm to 5pm at 5575 West Saanich Road (across the street from the Red Barn Market). Plenty of great activities, food, and performances for everyone to enjoy - including yours truly! My accordion and I will be performing between 2pm and 3:30pm! Fred Penner will be taking the main stage at 3:30pm, and I am very excited to see him play!